Preston North End ended their play-off hoodoo with an emphatic 4-0 win over Swindon Town at Wembley to secure promotion to the Championship. Jermaine Beckford’s goal gave Preston the perfect start on three minutes, before Paul Huntingdon doubled their advantage five minutes later with a close-range finish. Preston took a 3-0 lead into the break when Beckford curled the ball past Wes Foderingham, and he completed his hat-trick twelve minutes after the restart. In truth, Swindon rarely threatened to make the match a contest and mustered just one shot on target. 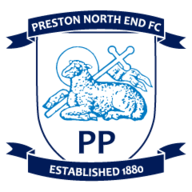 Preston dominated from the start and were rewarded when Beckford steered Paul Gallagher’s floated free-kick past Foderingham with a composed volley under pressure. 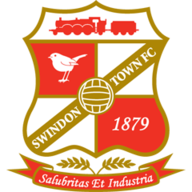 Swindon were forced into an early change when their captain, Nathan Thompson, suffered a head injury in the build-up to Beckford’s opener and was replaced by Sam Ricketts. But Preston soon doubled their advantage when Huntingdon roamed into the box unmarked to tap home another superb Gallagher cross from five yards out. Swindon began to dictate possession but failed to create any clear-cut chances against a resolute Preston defence, although Jack Stephens’ mazy run and deflected strike threatened to peg Preston back. It took until just before the break for Swindon to create their first meaningful chance, when Nathan Byrne’s deep cross was met by the head of Michael Smith, but the former Darlington striker sent his effort wide. It proved to be a telling moment in the match as, less than 60 seconds later, Preston added a third. It was a sensational piece of play from Beckford, who collected the ball on the edge of the area and curled an exquisite shot into the bottom corner. Swindon attacked after the restart in search of a route back into the match but should have been four goals behind when Beckford was sent through one-on-one with Foderingham, but the former Everton striker was denied by a stunning, fingertip save. But it didn’t take long for Beckford to complete his hat-trick - the third player to do so in a play-off final - when he latched on to Joe Garner’s sweeping pass, before slotting the ball past Foderingham. Swindon’s first shot on target, a glancing header from Obika, was greeted by ironic cheers from their own fans. Beckford was then withdrawn to a standing ovation and replaced by Kevin Davies, who came close to adding Preston’s fifth but was unable to reach Garner’s looping header. To their credit, Swindon pushed for a goal in the latter stages but never looked like troubling Simon Grayson’s side, who return to the Championship for the first time in four years.